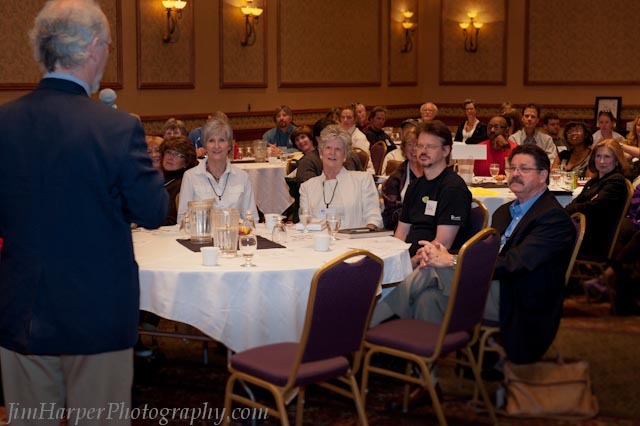 The May meeting was one for the record books! 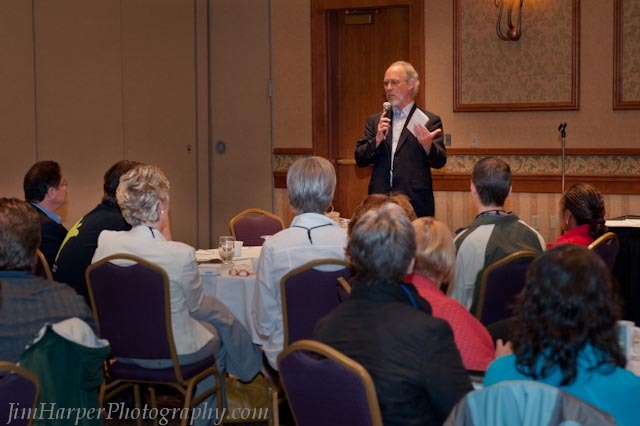 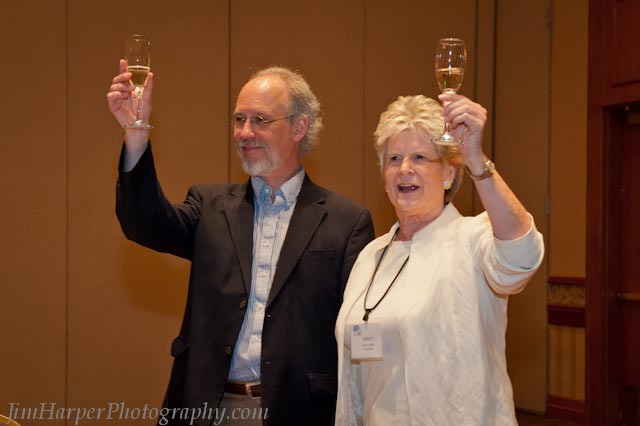 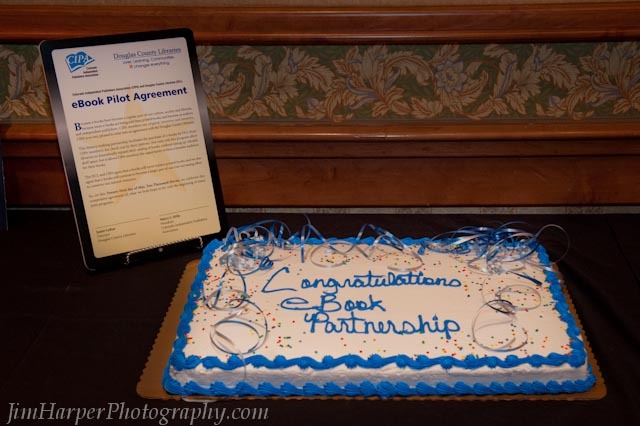 We had a phenomenal turnout of members and guests, listened to a witty, eloquent, knowledgeable presentation given by Jamie LaRue of the Douglas County Libraries, voted in a new, energetic Board for 2011-2012, and celebrated CIPA’s year end with cake and champagne. 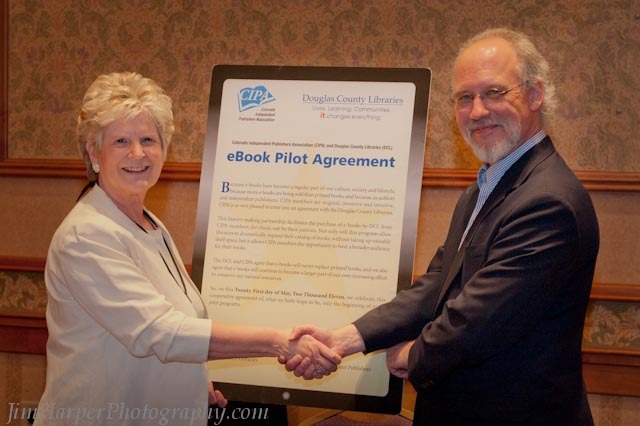 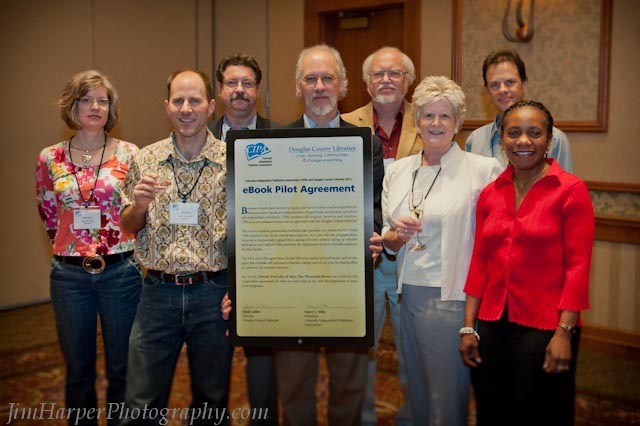 Those in attendance at the May meeting witnessed the historic partnership between CIPA and the Douglas County Libraries as they created a program that will help connect our members’ e-books with their readership.